A common question we get is how can we integrate Einstein Analytics with communities? The power of Einstein Analytics is to collaborate and take action on insights gained on dashboards, and a great way to take advantage of that is with community users. We are going to show you how to integrate Einstein with communities in five easy steps. Best of all, absolutely no code is required! The first step towards integrating Einstein Analytics with communities is to enable analytics for communities. 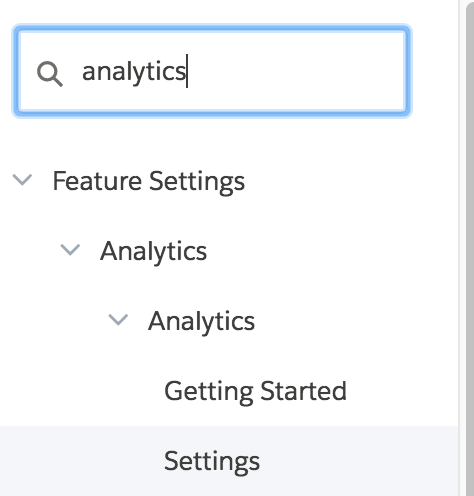 This is an org-wide setting that can be enabled through Setup by searching for Analytics in the Quick Find box. Next, check Share Analytics with Communities and hit Save. The next step is to extend access to your community users. Your community users are going to need two types of licenses to be able to view a dashboard on a community; either a Community or Partner license, and an Analytics for Communities permission set license. Make sure users have both of these license types extended; you can do this through their user record. Next, you will need to create a permission set that includes the System Permission view analytics on communities pages. 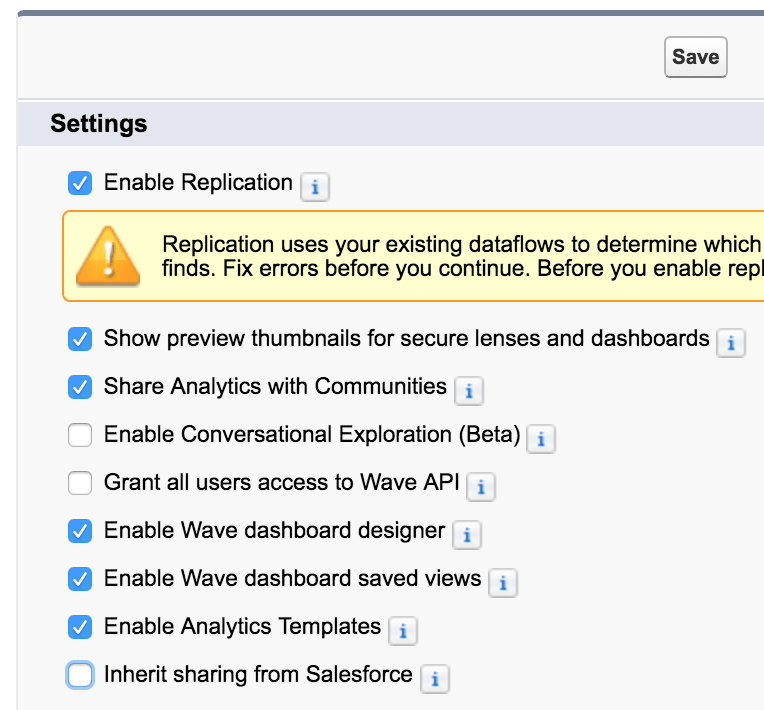 Ensure all of your community users that will be accessing dashboards are assigned the permission set. Next, create the dashboard that will be used in the community. This isn’t different than creating a dashboard for internal users. Be aware that the space for a dashboard in a community page is often narrower compared to the Analytics Studio, so you may not be able to fit as many widgets horizontally as you normally would without them looking scrunched. You’re also going to need to extend access privileges to your community users for the dashboard. From the app that the dashboard is saved in, click Share. Ensure that both Partner Community Users and Customer Community Users have Viewer access levels. The fourth step is to create your Community. Navigate to Setup, then search for Communities in the Quick Find box. Click on All Communities. Then click New Community. Next, you’ll need to choose your template. For this example, let’s select the Customer Service (Napili) template. Be aware that not every template type is compatible with Einstein Analytics dashboards. After clicking Get Started, enter a name and URL for your Community. Note that you won’t be able to edit the URL of your Community after you create it. Additionally, this is the URL through which users will access the community. 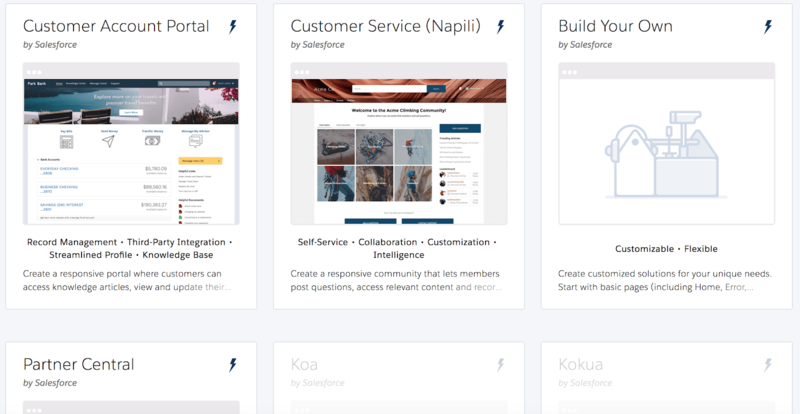 After creating your Community, navigate to the Community Builder. 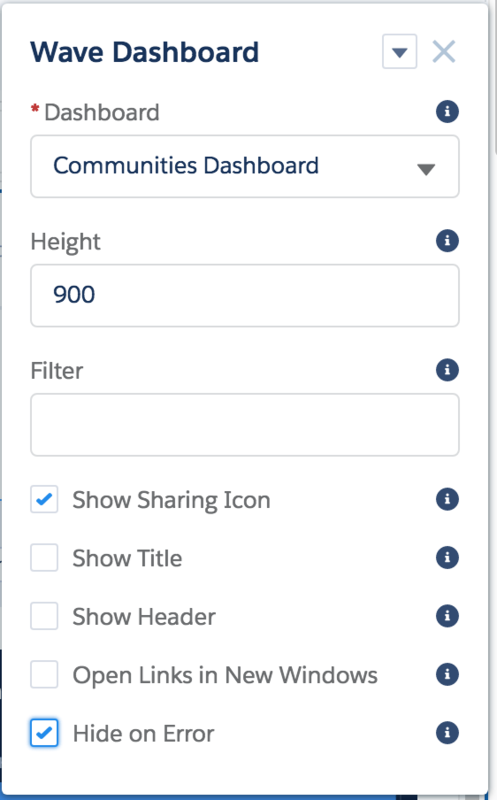 You can always navigate to the Community Builder by finding your community in All Communities from Setup, then click on Builder next to the Community. In the Community Builder, there are a variety of different customization options. Some customization options include adding branding, changing the color scheme and editing the components on the community. The last step is to add your Einstein Dashboard to your community. From the Community Builder, click on the lightning bolt icon. 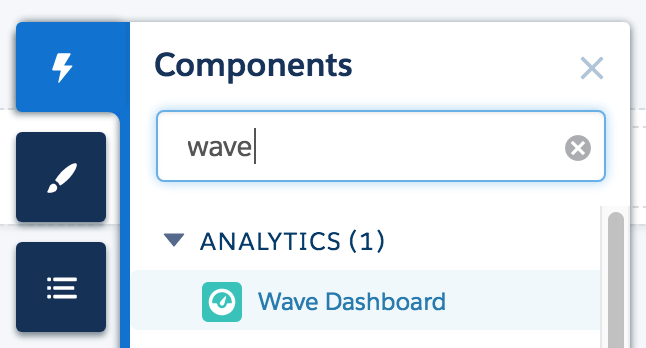 Search for Wave in the Quick Find box and drag the Wave Dashboard component onto the page layout. To select the dashboard to show on the community page, click anywhere within the component you added. Navigate to the dashboard component along the right-hand side. From the Dashboard dropdown, select the dashboard you want to add to the Community. Then, select a height in pixels for the dashboard. We’re going to keep the filter section blank, as we won’t be accessing the dashboard from record pages. Underneath the filter text box, there are a variety of customization options for your dashboard. Let’s check Show Sharing Icon and Hide on Error. Show Sharing Icon allows users to share the dashboard by posting it to someone’s Chatter or downloading it as an image, while Hide on Error will hide the dashboard in the event of an error. To save your changes and make the dashboard visible to your community users, click on Publish in the upper-right hand corner. Click Publish again, and your community users will now be able view and collaborate on the Einstein Analytics dashboard.